My introduction to Parfumerie Générale has been somewhat of a baptism of fire. Up until very recently I had ignored the line completely, not because I didn’t like the sound of the fragrances, in fact I have read lots of positive reviews, there are just so many lines to keep up with and sometimes my brain has to skim over some just to keep up with the rest. Anyway, as I was saying, I had an interesting introduction to the brand. Firstly, I received some samples from the lovely Birgit of Olfactoria’s Travels which I have been slowly exploring over the last couple of weeks. I also had the pleasure of being talked through the line by my good friend Nick who works in the specialist perfumery – Les Senteurs. Having smelled most of the scents from the line (albeit briefly), I have to say that I am really pleasantly surprised and I owe Pierre Guillaume a massive apology for ignoring the line for so long. I hope to review a few of the Parfumerie Générale scents over the next couple of weeks, but I thought I would start with one of the most interesting fragrances in the collection, PG04 Musc Maori. An obligatory picture of Pierre Guillaume, just because…. When I was a kid my siblings and I were pretty much addicted to Nesquik Chocolate Milkshake, the type that comes in grainy powder form within a banana yellow coloured plastic tub. We LOVED the stuff and to this day I sometimes find myself craving it. So imagine my surprise when Nick sprayed Musc Maori on the tester strip, declared it as ‘Chocolate Milkshake’ and handed it to me, I was immediately taken back to childhood times. Musc Maori opens with the hugely familiar note of cocoa powder, but it’s not the usual bitter dark chocolate powder we are used to seeing in some gourmands, no this is sweet milk chocolate powder. The chocolate rains supreme for the whole of Musc Maori’s development and it is one of those addictive smells that I keep finding myself taking generous whiffs off throughout the day. Those of you who are familiar with Nesquik will know that there are actually two ingredients required – the Nesquik powder and a generous helping of milk, Musc Maori has both. Underneath the cocoa is a melange of creamy lactonic notes that seriously emphasise the gourmand nature of the scent, and that’s what Musc Maori is, it’s not a musk scent at all (it’s nothing like Musc Ravageur or Muscs Koublaï Khän in any way) it is a seriously edible gourmand. Musc Maori does eventually settle on a warm, appealing combination of musk and vanilla, some grains of cocoa powder are left and whilst it does gradually develop, the signature of the scent remains throughout, it’s not quite linear but it’s close. It does however, get much more sugary sweet and harder to digest as it heads towards the dry down and I do find that once I get to this point I do tire of it very quickly. I enjoy smelling Musc Maori, the novelty of it’s scent never fails to make me smile but I would never wear it. As I mentioned earlier, I enjoyed drinking Nesquik as a kid, heck I even loved the Nesquik cereal that looked suspiciously like rabbit droppings, a fact that was only confirmed by the guilty looking rabbit pictured on the box, but I have never and probably will never feel the urge to smell like it, it just doesn’t have the wearability factor for me. For a different take on Musc Maori head over to Olfactoria’s Travels to read Birgit’s review. Musc Maori is available in 50ml and 100ml Eau de Parfum with prices ranging from £81.50-£117.50. This review is based on a sample of Musc Maori sourced myself. Posted in Gourmand, Musk, Parfumerie Générale, Perfume Reviews, Unisex and tagged Gourmand, Musc Maori, Parfumerie Générale, Unisex. Bookmark the permalink. Apologies for making your crave PG! A massive thanks for the samples and kickstarting my PG fandom, I have fallen for Felanilla and Bois Blond so far but the others are also quite promising. I also got hold of a sample of Tubereuse Couture when I was @ Les Senteurs which I’m trying to wrap my head around. Hmm, PG is a line I probably ought to give some attention to. 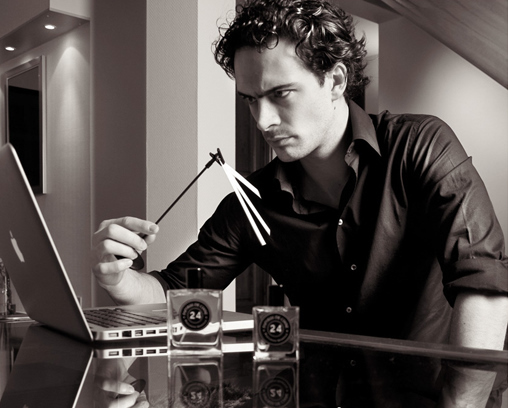 (If only because PG himself is so swooningly gorgeous – what is it with perfumers? There are some serious hotties in the business.) But I tried Musc Maori and it put me off. It seemed cartoonish and very definitely not something I wanted to smell of. PG is a first rate hottie! I agree that Musc Maori is cartoonish (see my the above cartoony Nesquik bunny), it’s novel and well made but like you I wouldn’t want to wear it. I’ve haven’t spent much time with many of the scents one-to-one as it were, but I can already see that there is more than a few serious ones. Felanilla and Bois Blonds are two of my favorites! Actually, I’m quite fond of all of the PG scents that I’ve tried, though I have not tested Musc Maori yet. Just yesterday as I was working my way though the Kilian sample set, I was reminded of PG, and thinking that I’d like to work my way through the rest of those remaining unsniffed. They’re so good! This one was a miss for me. I think I just don’t like the cocoa note in fragrance in general. The increasing sweetness in the drydown was also a problem. I haven’t tried Felanilla although it’s on my to-test list (someone may have sent me a sample but I’m too disorganized to know). My favorite from the line right now is Iris Oriental. Cocoa is a bit of a love or hate note, and the sweetness in the drydown really doesn’t help at all! I have quite a few loves in the PG line: top of them is Bois Naufrage, followed by Brulure de Rose (the only one own), Felanilla, L’Ombre Fauve, Aomassai and Iris Taizo (as I persist in calling it), while I agree with Dee that Bois Blonds is also nice. This one I am pretty sure was a no-no for me but can’t for the life of me remember why. 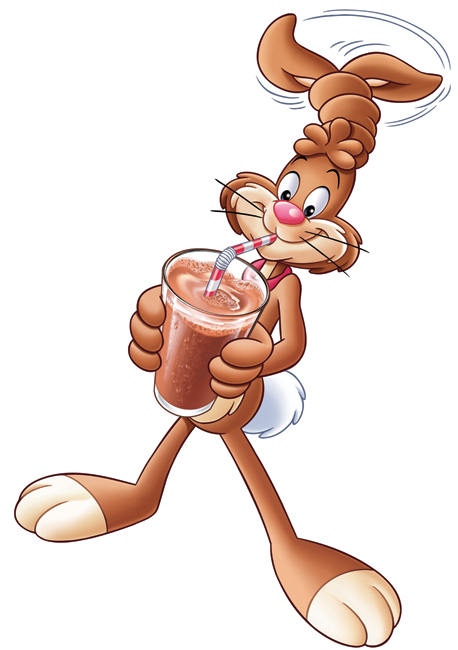 I would give it another go, out of sheer nostalgia for Nesquik! Seriously, it was THE best cereal ever, but even as a kid I couldn’t get over the fact that it looked like rabbit poo, it was so obvious, and the rabbit on the box only helped to confirm my suspicions! Musc Maori definitely isn’t the best, I know there are a few I tried in LS that I really liked but I can’t remember the names, there was just so many of them! Now here we talking. … Your feelings about the (in my books – genius – & absolutely drop-dead gorgeous) Pierre Guillaume and his fantastic ‘fumes, will be THE test for me in weather we are in fact quite similar in “nose-aesthetics” and “scent-twinnery”, or not quite ?? Pierre is possibly my fave contemporary perfumer, as there is just no other ‘fume house which has managed to have so many perfumes I adore. I luv more than a massive 3/4 of them. (And the rest I’m not exactly “ga-ga” over, I still don’t mind them and find well composed nevertheless). A number that no other single house has ever managed to achieve with me, which is usually only a couple or so each, if even. I will really look forward to hearing more of your reviews on PG’s masterpieces ! I have to say that I was very pleasantly surprised when trying the PG line, there are some really good scents in there. I look forward to reviewing more! Oh, & P.S. … I too luv how Musc Maori smells ~ totally addictive. … But too could never actually wear it as such. And I could go on and on and on ………….. There are so many to work through, I think I’m going to enjoy it! Oops that was supposed to be a p in Psychotrope, not sure how it turned into a “smiley” ?? Apart from Histoire de Parfums “Ambre 114”, L’Ombre Fauve is probably my all time favourite amber. … & Bois Blond is just excellent !